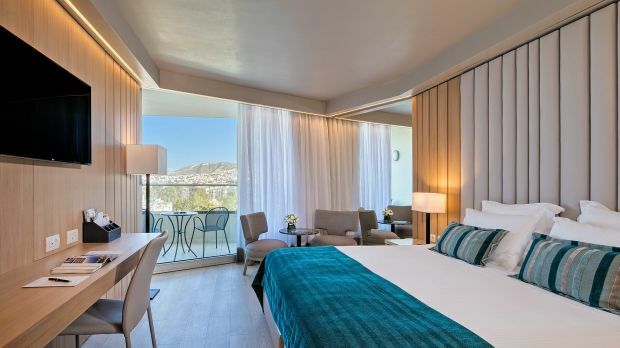 Located a short drive south of Athens in the seaside town of Vouliagmeni, Divani Appollon Palace and Thalasso is just 20-minutes by car from Athens International Airport. A short drive south of Athens, the palm tree-lined avenues of Vouliagmeni have long provided affluent Athenians with a charming seaside escape. Divani Apollon Palace & Thalasso boasts a beachfront location in the town, with landscaped gardens, a private beach, and two outdoor pools affording guests beautiful ocean views. The hotel contains 342 guest accommodations, each with panoramic ocean views from a private balcony, calming decor, and 24-hour in-room dining. Small dogs are welcome for a fee, while a complimentary shuttle service is available to take guests to the nearby Glyfada shopping area and Syntagma Square. Divani Appolon Palace & Thalasso is home to the only Thalasso Center in the Athens region, located in a privileged setting beside the sea. Thalassotherapy harnesses the beneficial effects of water to promote wellness and health, with treatments tailored to a guest’s personal needs. Furthermore, the Spa also offers a modern gym for more active guests. Finally, the hotel contains four restaurants, each brimming with its own personality and eclectic menus. Breakfast at Anemos terrace comes highly recommended, overlooking the hotel’s swimming pools and gardens, while Mythos of the Sea Restaurant offers Mediterranean cuisine against a backdrop of the Saronic Gulf. 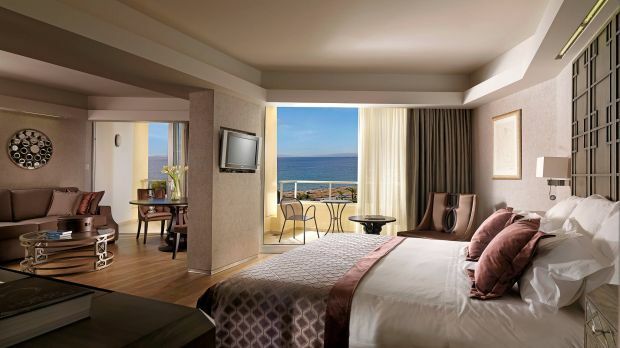 Send an availability request with your requested dates to the Divani Apollon Palace & Thalasso. Features a twin or double bed, private balcony with sea view. Features a sea view from the room's private balcony. Features a private balcony, sea view and Jacuzzi. 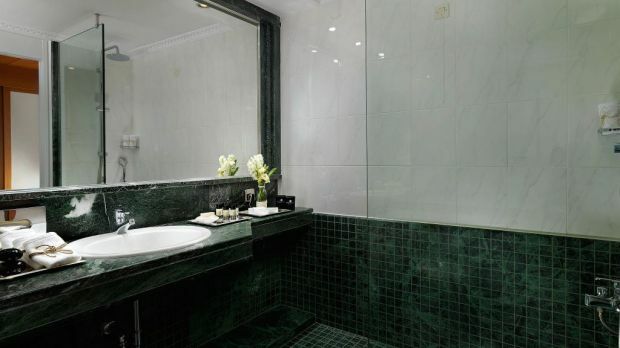 Features a panoramic sea view, Jacuzzi in the bathroom.